I was always a person to plan and prepare for every birthday, celebration or holiday. I used to plan the gifts and even decide on packing ideas in advance. But when I became a mother, everything has changed. Now I find myself packing gifts at the last minute and I can only imagine how hard it is with more then one child. 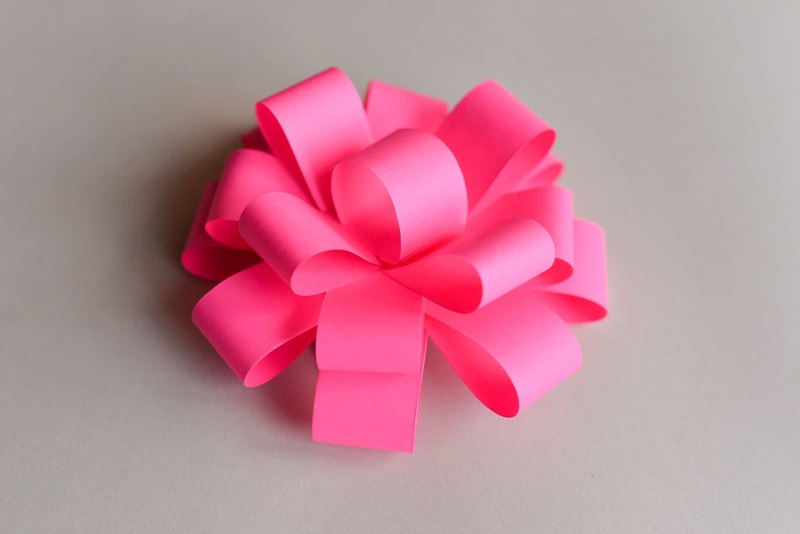 One time, when we had to attend another kid’s birthday, I forgot to buy a bow for the gift and that’s when I decided to do it myself from all the things that I had at home. Today I will share this simple DIY project with you guys. Paper glue (you can change it with tape, but in this case double sided one would make it a lot easier). Be sure to subscribe to my Youtube channel for more interesting DIY project. Let me know what you think about this technique and if you decide to recreate it – share it on Instagram and tag me so that I can see your beautiful pictures!